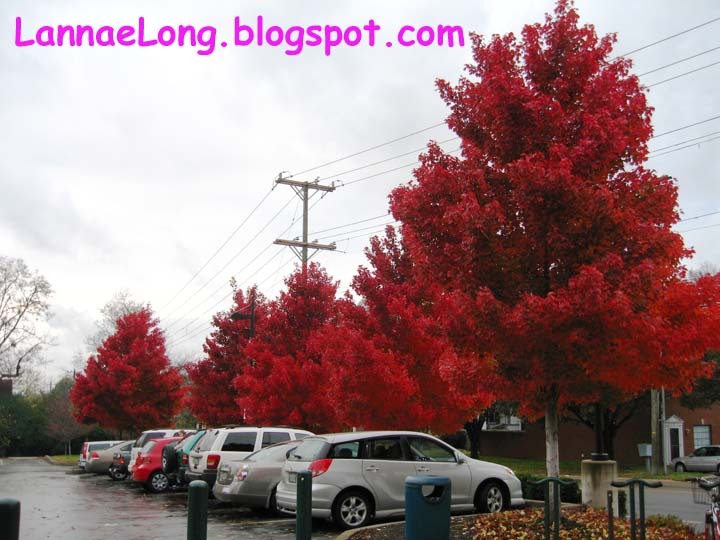 Does anyone in Nashville remember the 2008 autumn season when there were vibrant leaf colors all over town? I remember driving, walking, jogging down our roads and being in awe at the beautiful fall colors. I am hoping that 2011 autumn season will bring the same. A quick update, I stopped into Porter Road Butcher shop today during their soft opening. PRB was going to be on Porter Road, but took a detour to 501 Gallatin Rd, at the corner of Calvin and Gallatin, near the new Aldis. This is the only real butcher shop for at least 25 miles around. The meats here are from local organic farms. I got a standing rib roast to cook up tonight for dinner. The beef is 21 day dry aged. I got to see the whole piece of rib roast, and was able to get the size cut I wanted, and I am thrilled. I am going to use an English prime rib dry rub and let it stand that why in fridge for a couple hours before I start roasting it. To accompany the rib roast will be rice pilaf, stir fried local bio dynamic organic mustard greens and butternut squash, and local bio dynamic organic salad greens made of mazuni, arugula, Boston bib and red leaf. We will likely pop open a Matanzas Creek red, but we don't know which one yet. Yeah, another typical Friday night dinner (ha ha just kidding). Update Dec 4, 2011: I might have slightly over cooked the beef to medium instead of rare to medium rare. The beef was delicious anyway. I got some beef demiglace and heated that up with some Matanzas Creek Cab, local garlic, and herb de Provence to make a sauce. The beef was really good. The smell, texture and flavor is that of beef we remember from our childhood. While eating the meat, it was one of those sensations of familiarity from days gone by. I gotta get another roast sometime soon.